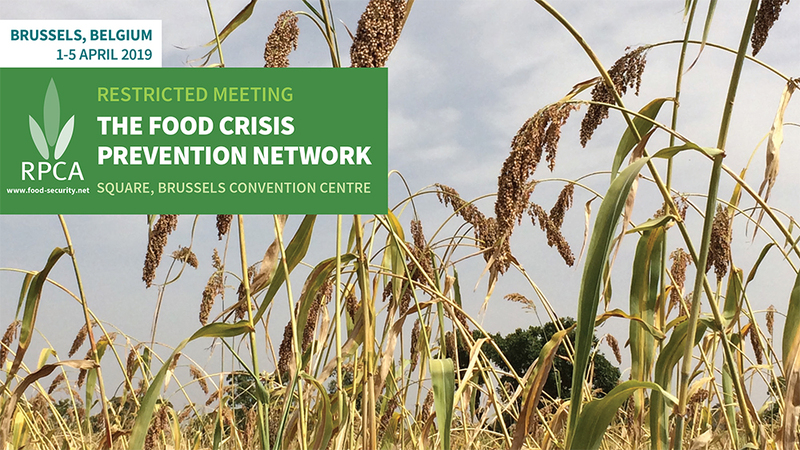 Members of the Food Crisis Prevention Network (RPCA) gathered in Brussels to examine the final results of the 2018-19 agro-pastoral season and take stock of the implementation of response plans in the Sahel and West Africa. Despite an overall good harvest and many social protection measures, 4.8 million people currently require urgent food and nutrition assistance. The Network’s consensual approach to improving food and nutrition security inspired the creation of a Global Network against Food Crises. Within this framework, the European Commission held a high-level event on 2-3 April on “Food and agriculture in times of crisis”. The theme of the 35th RPCA annual meeting, which will be held in Conakry, Guinea, on 2-4 December 2019, will focus on “Addressing food and nutrition challenges in crisis situations“. The 2018-19 agro-pastoral campaign was good overall. Total cereal production reached 73.2 million tonnes, up from 17.7% compared to the five-year average, and up by 6.6% compared to the previous campaign. However, some countries recorded significant decreases compared to the previous campaign, in particular, Gambia (-24.3%) and Sierra Leone (-15.7%). Root and tuber production, estimated at 185 million tonnes, increased by 19.9% compared to the five-year average. Similarly, leguminous crops and oilseed production, estimated at 26.4 million tonnes, increased by 30% compared to the five-year average. Fodder supplies are relatively good; however, some pastures remain difficult to access in insecure areas of Burkina Faso, Chad, Mali, Niger and Nigeria. In the rare pastoral zones that are easily accessible, there is a risk of infectious animal diseases due to a high concentration of livestock. Food markets remain well supplied and the price of local cereals is decreasing overall, except in certain countries where inflation is high (Ghana, Liberia, Mauritania, Nigeria and Sierra Leone). In the coming months, the increase in food prices will stay in the normal range, but will nevertheless be higher until the end of the lean season in insecure areas. Throughout the region, 4.8 million people are in need of food and nutrition assistance, of which two million are in Nigeria. If appropriate measures are not taken, nearly 9.7 million people will be affected during the lean season from June to August 2019, of which 450 000 people will be in an emergency situation (308 000 in Nigeria; 41 000 in Mauritania; 30 000 in Niger; 26 000 in Burkina Faso; 24 000 in Mali and 22 000 in Chad). 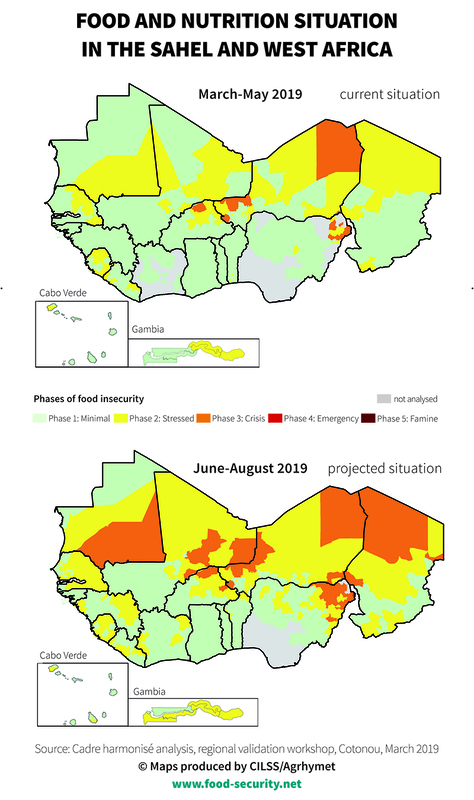 The nutrition situation remains concerning, with a prevalence of global acute malnutrition exceeding the emergency threshold of 15% in several zones in Burkina Faso, Chad, Gambia, Mali, Mauritania, Niger, north-eastern Nigeria and Senegal. Drawing on the key findings of the implementation of response plans, participants emphasised the need to harmonise targeting methods and strengthen monitoring-evaluation. They recommended that States conduct an assessment of the effectiveness of food and nutrition assistance in conflict-affected areas. Members of the Global Alliance for Resilience (AGIR) discussed the Gambian government’s commitments to strengthening resilience. They also examined integrated approaches to strengthening resilience in insecure zones in Burkina Faso. On the basis of best practices in conflict-affected areas, stakeholders emphasised the need to strengthen the humanitarian-development-peace nexus by implementing multisectoral, participative and inclusive approaches, with a stronger role played by communities, local authorities and civil society organisations. They also underscored the need to work collectively to scale up best practices. They highlighted the key role of food stocks (in particular at the local level) in strengthening the resilience of the most vulnerable, and urged States, regional organisations and partners to seek long-term solutions to challenges around sustainable financing and better quality of local food stocks. The RPCA meeting started on 1 April with a restricted group of members. Postpone the 3rd evaluation of the PREGEC Charter be postponed to 2021 in order to allow more time to implement the recommendations of the 2nd evaluation. The theme of the 35th RPCA annual meeting, which will be held in Conakry, Guinea, on 2-4 December 2019, will focus on “Addressing food and nutrition challenges in crisis situations“. 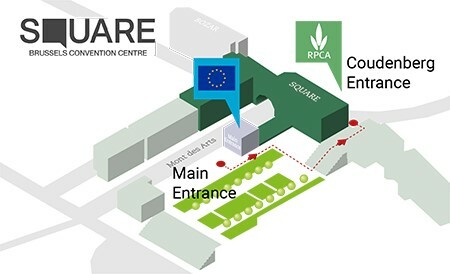 The RPCA restricted meeting was held at the Square Brussels Convention Centre, near Central Station. It was held back-to-back with a high-level event on “Food and agriculture in times of crisis” hosted by the European Commission under the auspices of the Global Network against Food Crises.